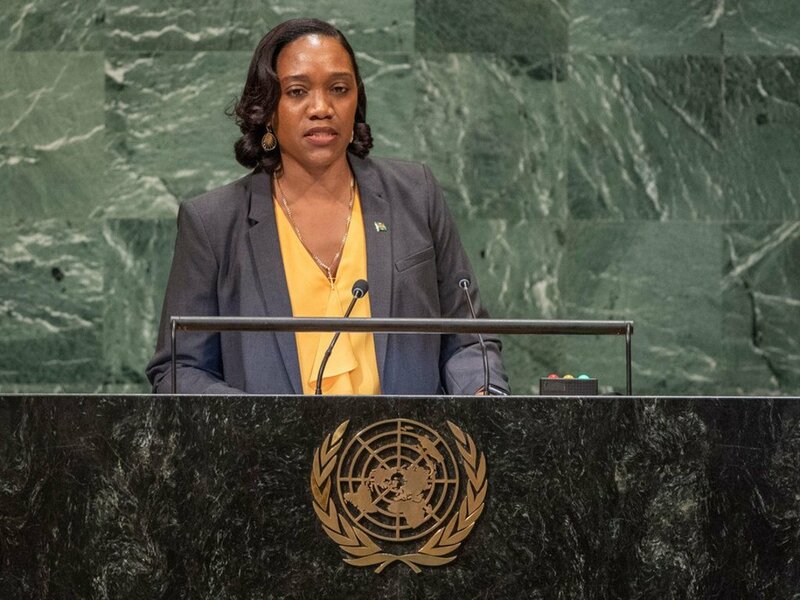 Foreign Minister Francine Baron of the Commonwealth of Dominica addresses the seventy-third session of the United Nations General Assembly. Ms. Baron noted that the global community has neither agreed on an implementation plan for the commitments made in Paris in 2015, nor mobilized the agreed-upon $100 billion annually to assist the most vulnerable in adapting and mitigating against harmful climate change effects. The Foreign Minister warned against perpetual pontification on the subject while punishing rains wreck lives and livelihoods – but urged instead to use our collective efforts to arrest it. 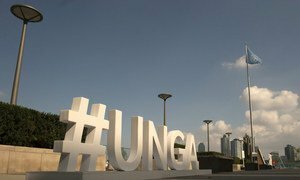 “It is no secret that the lack of motivation by some countries to take the required actions, is rooted in this economic truth: that those who gain most from the activities that create climate change, remain the most removed from its dire consequences,” Ms. Baron underscored. After international experts completed Dominica’s post-disaster needs assessment, they concluded that in a few hours, a single hurricane “caused loss and damage equivalent to 226 per cent of our country s GDP [gross domestic product],” while “a mere two years prior, a tropical storm, had wiped out the equivalent of 90 per cent” of it. The cost of building a resilient nation, “comes with a price tag far in excess of what small developing States, like Dominica, are able to meet singlehandedly,” she flagged. Arguing that climate change is not “a freak of nature,” but man-made, she encouraged the global leader to let history record what was done, not was said; what efforts were made to globally end climate change and to reduce local vulnerabilities. “We, together, must grasp this moment,” concluded the Foreign Minister.